The type of fence you choose to install will majorly impact the outside exterior of your home in Leesburg, VA. 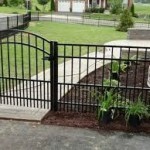 Your fence installation will also provide the most important benefit to your Leesburg, VA home which is security. Whether you choose wood, chain link or wrought iron fencing, fences can improve your home’s curb appeal, increase privacy, provide security, and protect your home from weather elements. Reasons for install—Fences are usually installed to serve a purpose. Whether your fence is for keeping a dog inside a fenced-in area, having a safe place for young children to play, surrounding a garden area, corralling horses, grazing field for cows or other farm animals, or surrounding a swimming pool setting, you need to choose a fence design and material that will function well at your home in Leesburg, VA. Choosing your Material—Choose the material of your fence wisely. Wood fences are great, but they require staining or sealing and can warp over time. Vinyl fences are low maintenance while still offering the look of wood. 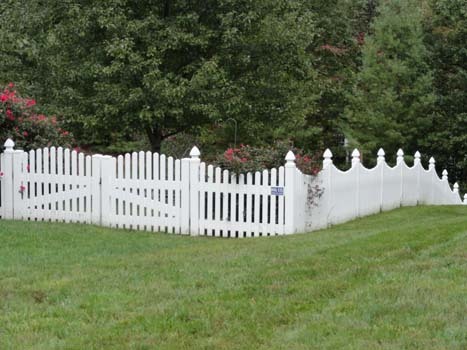 Mix your Fences—If you are on a strict budget, consider a wood picket fence for the front yard of your home in Leesburg, VA and connect it to a less expensive chain-link fence for the backyard. This also reduces the cost and time in maintaining your fence if you did the complete fence in wood. Check Building Codes—If you live in a Leesburg, VA neighborhood with an HMO, Homeowners Association, you will want to check with them first before making a final decision on the style and fencing materials. Some HMO’s have strict requirements as to the style and height of your fence. Be Neighborly—Notify your Leesburg, VA neighbors as to what your plans are for your fence installation. The last thing you want is a neighborhood feud and who knows, they may want to share a fence with you and share the cost on the side adjoining their property. Unless you are an avid do-it-yourselfer, you should hire a professional fence company such as Hal Co Fence to install your fence. The team at Hal Co have years of experience and can give you suggestions on any ideas you might have and what type of fencing will benefit you and your family the most at your home in Leesburg, VA. Homeowners in Leesburg, VA know firsthand that when it comes time to build a fence or to repair an older fence it is wise to consult with a fence company for the best results. Although you might be a do-it-yourselfer, hiring a fence company in Leesburg, VA could save you the headache of installation mess ups that can lead to repairs or replacement sooner than later. Experience—The experience a fence company offers is by far worth the money. A fence company can help you in your decision of materials, the layout to best suit your property, and a professional installation that is built to last for a long time into the future. A Leesburg, VA fence company can recommend which fencing materials would best suit your lifestyle by taking into consideration the amount of time you have to maintain your fencing. Vinyl fencing is a great choice if you do not wish to spend your summers painting or staining your fence to keep it looking new. There are different styles and colors to pick from that a fence company can suggest to blend in with your landscaping for your home in Leesburg, VA.
Property Layout—An experienced fence company knows how to handle conditions such as soil and drainage, trees or shrubs in the fence line, sloped grounds, and boulders in the line of the fence. These land conditions can be accommodated into your layout plans by a professional Leesburg, VA fence company. Your fence can be shaped along the contours of the land. Regulations—When you hire a fence company to install a fence on your Leesburg, VA property they will inform you of any permits required. They will also discuss with you the fencing options available if you belong to an HOA, Home Owners Association. When you hire a reputable fence company, you are investing in your Leesburg, VA home whether it is for privacy, security, or the safety of your children and pets. You will also be adding value to your Leesburg, VA home that will pay off if and when you ever decide to sell your home. Are you looking out at your wooden deck in Leesburg, VA and wondering what you can do to makeover your deck? Has it lost its luster? Has it become dull and gray? Try some of these easy makeovers for your older wooden deck at your home in Leesburg, VA.
First and foremost is a good cleaning. Power washing your deck and possibly fixing a few bad boards and then a coat of sealant can bring back the luster of older wooden decks for homes in Leesburg, VA. This will ensure you that your wooden deck will look great for years to come. A good coat of stain or clear finish wards off dirt, wear, and UV rays and also helps to prevent deck splinters. However, remember wooden decks require to be cleaned and stained every couple of years depending on where you live in Leesburg, VA. Wooded areas are harsher on decks than clear areas. 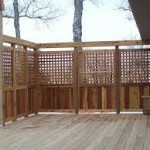 Put up a privacy screen around your deck to give you added privacy when entertaining or just want to relax in private. Bamboo fencing or lattice panels are perfect for adding privacy to wooden decks. A trellis with climbing plants can also create a privacy screen. Paint a design on your wooden deck to resemble a rug or purchase a decking rug to add a little pizzazz to your deck. Add solar lighting so that when the sun goes down your wooden deck at your Leesburg, VA home can come alive. Solar lighting comes in all different designs and sizes. You do not have to plug them in or wire anything. This type of lighting lights up when it gets dark and will fade away in about 4-6 hours depending on the type. The solar charged batteries are renewed each day and will withstand most weather elements. Add planters with lots of flowers or potted trees to give your wooden deck in Leesburg, VA a calm and serene atmosphere. Whatever makeover improvements you do to your Leesburg, VA wooden deck should provide you with a summertime full of enjoyable times with family and friends. If you are reflecting on having a fence installed in Leesburg, VA, here are some tips for selecting a reputable fence company to work with you and your family so that the entire venture will go as smoothly as possible from the design process to the completed installation of your new fence. Installing a fence on your Leesburg, VA property will be a major investment so choosing a reputable fence company is imperative. Nothing could be worse than investing a significant amount of money for a job you are not satisfied with at the end. With today’s technology, any fence company in Leesburg, VA that is worth hiring should have their own website for advertising their company, the products they offer, and types of fences they build. They should also have reviews on their site from previous customers. Their website should be able to tell you how long the company has been in business and quite possibly could show samples of their completed fencing jobs previously done. Angie’s List is also another excellent website to search for fence companies you are interested in hiring. 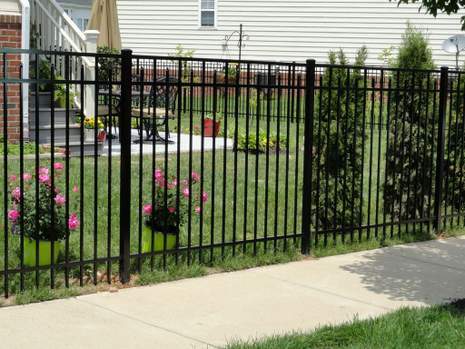 Asking your friends and neighbors for recommendations is another excellent way to find out the reputation of a prospective fence company serving the Leesburg, VA area. Ride around your neighborhood and check out different fencing styles and materials that others in your neighborhood have installed on their property. Most fence companies place a sign on finished sites to advertise their work. Stop and ask the homeowner about their experience with a particular fence company they used to install their fence. Always ask them if they would hire them again and how satisfied they are with the end result. Take the time to talk to their sales personnel and their designers to see if you feel you have a good fit working with this company. Do they seem knowledgeable in their expertise of fencing materials and custom design? If they can’t explain the difference between their products, and offer you design suggestions, you probably should move on to another potential fence company to research. Is the contractor on time for your appointment and if not, did they call you ahead of time to make you aware they would be running late? Everyone’s time is valuable, and sometimes it is hard to determine the exact time a contractor can be at your home. Showing courtesy to their customers should be one of their highest priorities, and if you get off to a bad start, chances are it will be that way all through the installation process as well. An estimate should be in writing covering all materials and labor costs. It should also include what kind of warranty is covered on the materials as well as the installation. Does this include clean up of your property and disposal of all waste materials? When can they start and when the approximate date of completion. Also, does the fencing company pull the permits and Miss Utility for you? Once you are clear on all the facts and decide on which fence company you wish to work with, you will need to sign a contract. Before you sign with another company, consider the professionals at Hal Co Fence, who is one of the most reputable fence businesses in Leesburg, VA. We, at Hal Co Fence, are well-known for our superior quality of materials as well as our outstanding installation. Please give us a call and we would be glad to answer any of your questions or send one of our professional team members to your Leesburg, VA home to give you a free written estimate for your fencing materials and installation. Working with the right fence company in Leesburg, VA, ensures you get a quality fence properly installed at an affordable price. Many homeowners prefer a classic wood fence. But, with fence options ranging from vinyl and aluminum to composite and mixed materials, homeowners are finding their choices have expanded. Looking at maintenance needs and durability can make a big impact in your final bottom line costs, and hiring a professional fence company can make these decisions easy. Selecting a licensed, professional fence company in Leesburg, VA, means you also get expert advice and guidance from a group of skilled craftsmen who have spent decades designing, installing, and repairing all kinds of fencing. Tap your fence company in Leesburg, VA, for clever, cost-effective, and creative ways to improve, protect, and enhance your property with a custom-designed fence that reflects your personal style. Go bold with a black wood privacy or security fence. Or, make a whimsical statement with pastels or patterns as a backdrop for a wildflower garden or patio space. Recent trends pair natural materials like cedar, redwood, brick and stone with metal or glass accents, or a traditional chain link fence with natural bamboo slats. A cutting-edge fence company finds Leesburg, VA, homeowners a fence with just the right look, feel, and function for incomparable performance and added home value. Familiar with local communities, building codes and legal restrictions, your fencing company knows Leesburg, VA, code requirements and special historical designations that could effect fence placement, height, or materials. And with years of experience working with nearly every fence material, your fence company has the special expertise you need to deliver a beautiful fence that adds to your architectural harmony while keeping costs in check. 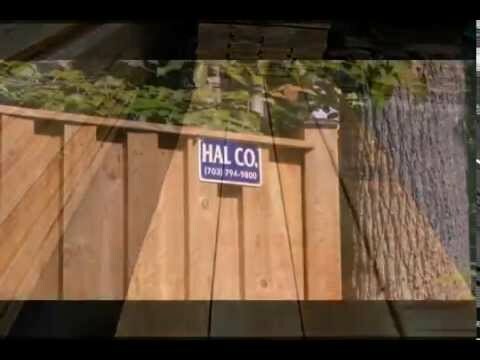 Hal Co, a leading licensed, professional fence company, has served the fencing needs of Northern Virginia since 1981. When you need the experienced leadership of a quality fence company, call Hal Co Fence. Need a Hard-Working Fence Company in Leesburg, VA? Are you looking for a hard-working fence company in Leesburg, VA? Take a look at working with your local fence experts at Hal Co. Fence. We can design and install a wide range of custom fencing and other outdoor structures to suit your unique site and specifications with beautiful results. Installing durable, high-quality fences for loyal clients for over three decades in communities throughout Northern Virginia, Hal Co. Fence company serves Leesburg, VA, business, industrial, agricultural, and residential customers. From a whimsical painted picket fence embracing a wildflower garden to a custom-designed hybrid pillar and steel security fence as a stately and elegant sentry protecting your critical business assets, Hal Co. Fence, fully licensed and insured, has the craftsmanship, training, certification, and reputation you need from a fence company. With clean, courteous crews and on-site project management, we know you’ll be delighted with our in-house professional design and engineering services and the quality of our work, which is covered by the Hal Co. complete Satisfaction Guarantee. If you, a friend, or neighbor are interested in making your new fence a home improvement that enhances the appeal, privacy, security and value of your home or workplace, you need a highly-rated fence company in Leesburg, VA, with decades of experience installing fences in a variety of outdoor applications and interior environments. Since 1981, the master craftsmen at Hal Co. Fence have created long-lasting, attractive, high-quality fences and outdoor improvements – decks, pergolas, and gazebos, for enhanced outdoor features that stand the test of time. Leesburg, VA, home and business owners looking for a reliable fence company with a proven track record and excellent references can contact Hal Co. anytime for a complimentary fence estimate. Posted in fence company, fence installation, Leesburg | Comments Off on Need a Hard-Working Fence Company in Leesburg, VA? The first thing to do before planning a wood fence in Leesburg, VA is check the local zoning regulations. The size and location of your lot, whether you live in a designated historic area, your neighborhood, and the characteristics of the wood fence you desire will determine the height, style, and placement of your finished fence. Many communities have blended wood fencing regulations. Some are throwbacks to the days when our society was agrarian, and land use laws revolved around livestock and crops, while others address more modern concerns like setback distances and construction techniques. And then there are the homeowners associations, which can add yet another layer of requirements to factor into your planning. 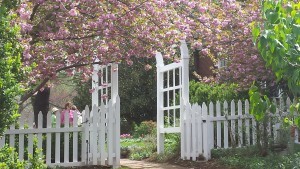 Installing a wood fence in Leesburg, VA, involves much more than choosing lumber, nails, and paint. Most industry experts recommend hiring a reputable, local fence contractor to manage your wood fence project. 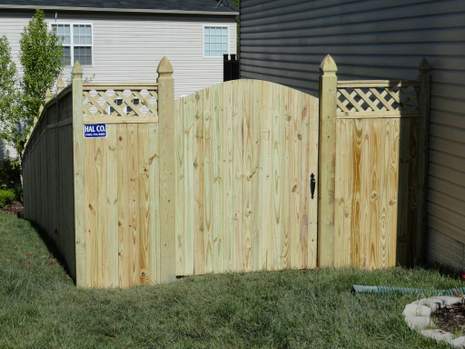 Leesburg, VA, home and business owners can contact the highly-qualified wood fence experts at Hal Co Fence for a positive home improvement experience. For almost 40 years the professionals at Hal Co have delivered thousands of well-crafted, long-lasting wood fences for satisfied clients throughout Northern Virginia. We have experience with every type of lumber used in fencing, including Western Red Cedar, Redwood, White Oak, Black Locust, exotic tropical hardwoods like Ipe, and standard Pressure Treated Southern White Pine. We also work with popular “wood” fences in Leesburg, VA, made of plastic and composite woods. With a growing selection of styles, features, and options, no two wood fences in Leesburg, VA, need ever look alike. Contact the fence professionals at Hal Co now and enjoy planning and constructing your new wood fence in Leesburg, VA this year.